As we flip the pages of the calendar to a new year, it’s time to look back and honor these 10 best fishing boats of the 2017. 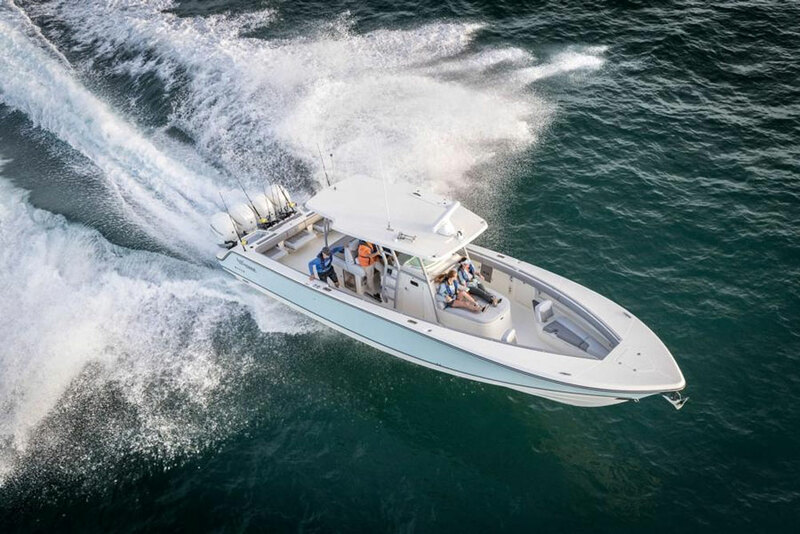 We’ve reviewed dozens and dozens of hot new fishing boats during the past 12 months, ranging from center consoles to freshwater fishing boats to big ocean-going convertibles and expresses. There’s a lot of cream in this crop, but we considered the pros and cons of each hull we rode upon to narrow the fleet down to our selection for the top 10 new fishing boats of 2017. Here are our picks, in alphabetical order. 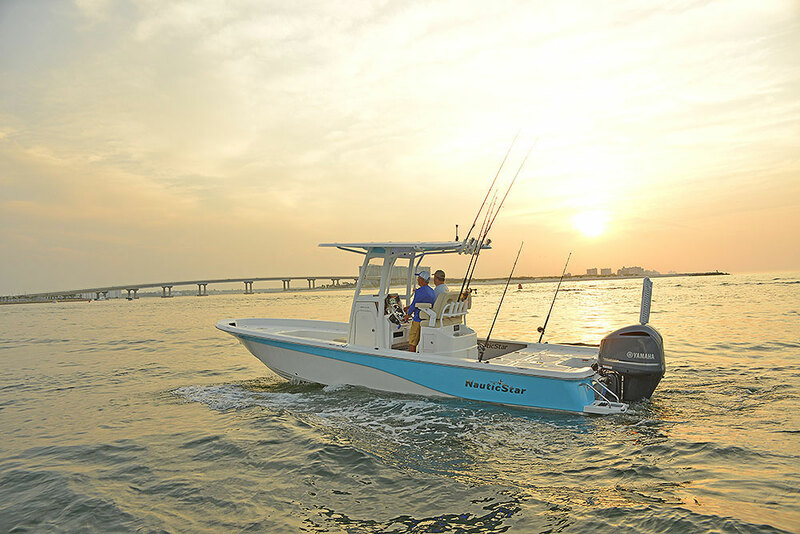 If fishing in comfort is your thing, you’ll have a tough time beating the Boston Whaler 380 Outrage. Introduced at the 2017 Miami show, this monster center console has comfort-enhancers like air conditioning in the cabin and at the helm, a gigantic sunpad/lounger built into the front of the console, forward seating with a table that lowers at the press of a button to become another sunpad, and an aft-facing seat behind the leaning post so you can even watch your trolling baits in comfort. One other thing that keeps you feeling good aboard is the confidence you get, knowing that the 380 Outrage is built with the same unsinkable glass-foam-glass construction of other Whalers. Heck, we liked this one so much we even shot a 380 Outrage video boat review. Here’s a first: not only are we naming the BOTE Rover a top 10 fishing boat, we also named it a top 10 pick for new fishing gear of 2017. 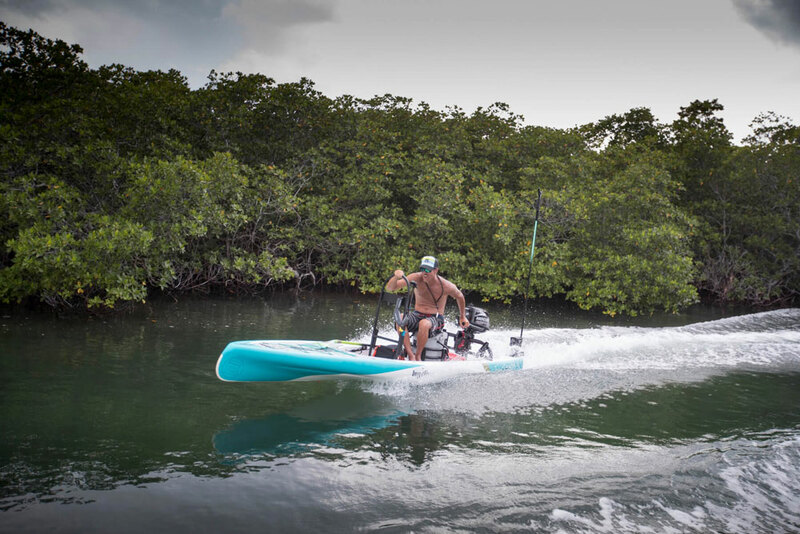 In our humble opinion, the BOTE Rover deserves such varied accolades since it’s a one-of-a-kind creation that straddles the line between boat and gear. 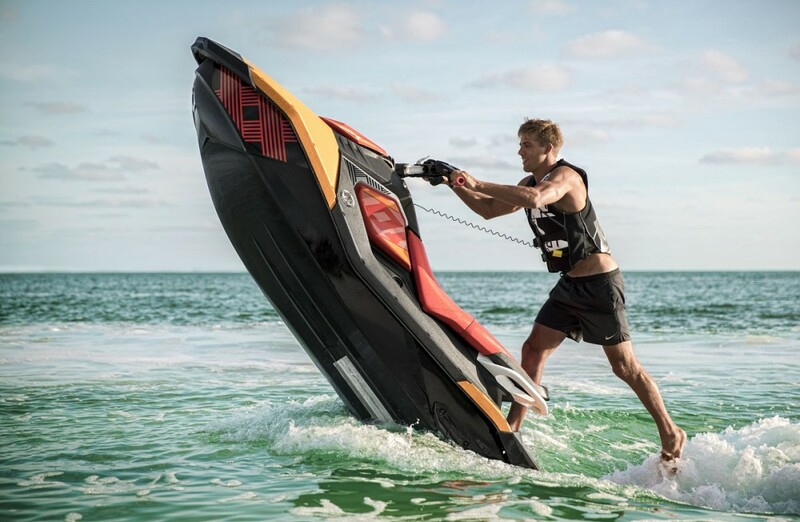 This is essentially a glorified SUP which can handle an outboard up to six HP and reach speeds of 16 MPH. Hull draft is a whopping three inches, and fishing features ranging from Power Poles to fishfinders are all available. Here’s one for you bass sharpies: the Crestliner 1750 Bass Hawk. We spent a day running around the lake on this boat while filming our 1750 Bass Hawk video boat review, and discovered that this boat exceeds expectations in a number of ways. Its variable-degree deadrise hull slashed right through the waves and handled great, with a 150 HP outboard it zipped right past 50 MPH, and at about $32,000 the price just can’t be beat. If you need a new bass fishing rig that won’t break the bank, check this one out. Truth be told, dual console boats like the Grady-White Freedom aren’t as ideal as center consoles for angling because you lose that 360-degree fishability. But they’re still pretty darn good for catching fish, and their versatility for uses ranging from watersports to coving makes this design incredibly popular among fisherfolks who have a family to please. But it still offers all the angling accouterments you’ll need, ranging from livewells to fishboxes to rod holders. That explains why the Grady-White Freedom 235 has sold incredibly well since its introduction early this year – and why it belongs in our round-up of the top 10 fishing boats of 2017. 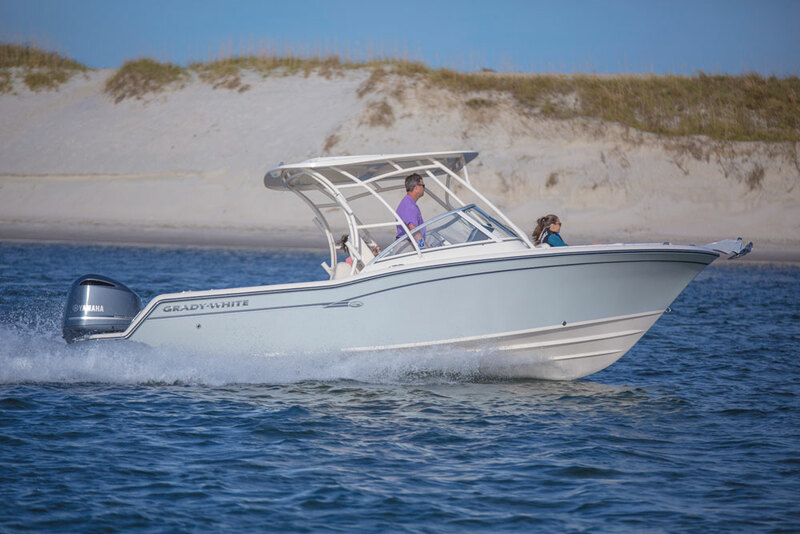 You’ll learn a lot more about this boat by reading our Grady-White Freedom 235 review. See Grady-White Freedom 235 listings. 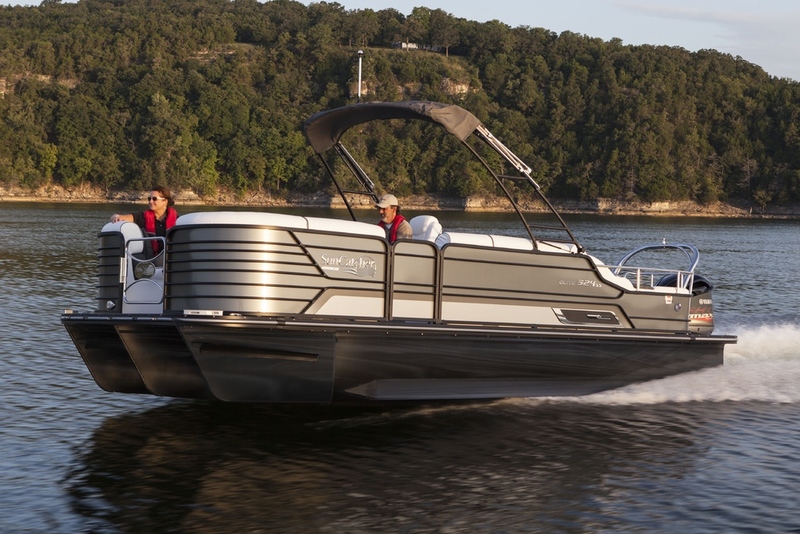 When it comes to bay boats, good luck trying to top the Everglades 273cc. It’ll be hard to find a larger bay boat at 27’3” LOA, it’ll be hard to top its top-end of 54.9 MPH, and it’ll be just as difficult topping this boat’s construction. Everglades builds with its patented RAMCAP method, in which pre-formed foam is mated with and bonded to the hull and deck. Pound this hull through heavy seas, and you’ll notice that hard impacts and vibrations are difficult to produce. 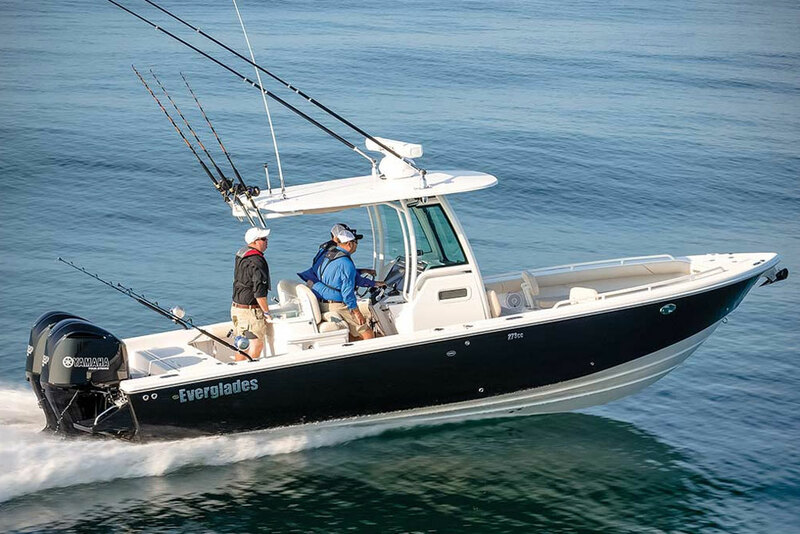 Bay anglers who want to run offshore from time to time are going to utterly love this boat; read our Everglades 273cc review to dig deeper into the details. Most center consoles built today have become gentrified to the point that they seem more like cushy luxury lounges than fish-killing machines. This is not a problem, on the Mako 414 CC. It’s a die-hard angling platform that doesn’t sacrifice fishability in the name of comfort, just as long as you don’t opt for the galley module in leu of the rigging station – and if you do, we say shame on you. The console is kept svelte to maximize deck space, integrated fishboxes hold a whopping total of 2,756 quarts, and there are a pair of 50-gallon livewells in the transom. Check out our Mako 414 CC review to get more details. 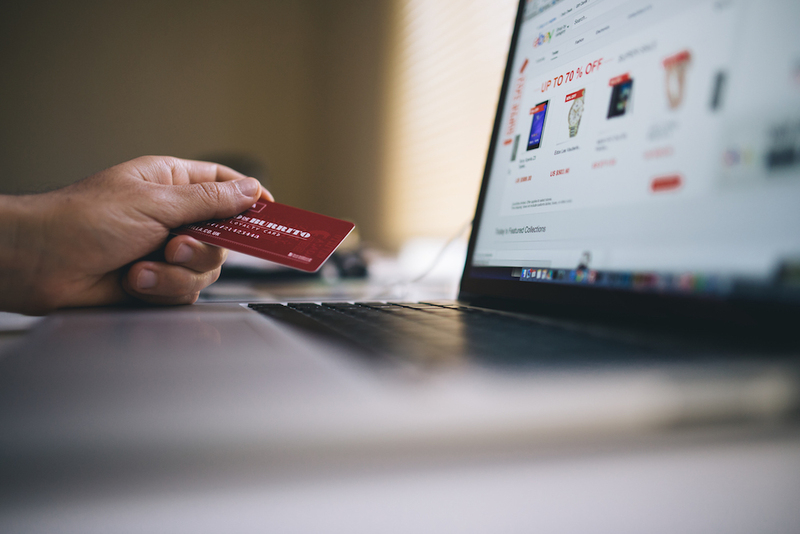 See Mako 414 CC listings. 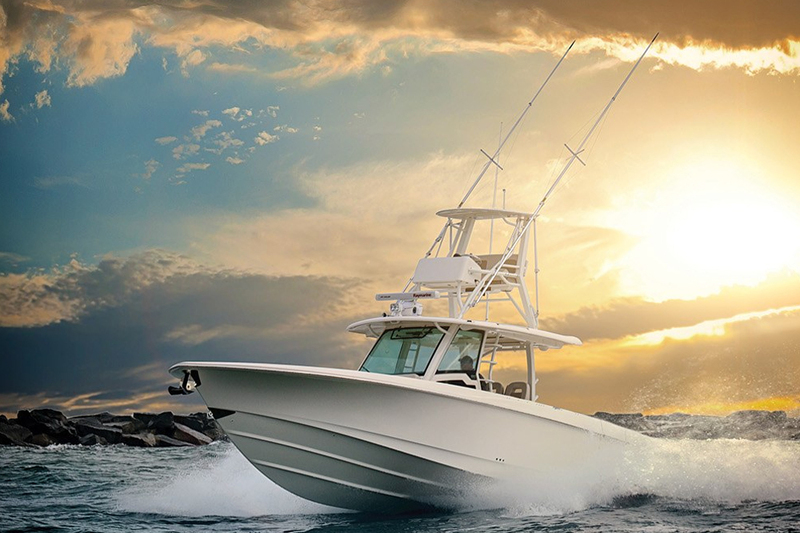 Though NauticStar started out as a southern brand this builder has been making inroads nation-wide, thanks to its reputation for building heavy-duty fishing machines for hard-core anglers. The latest is the NauticStar 265 XTS, which can blast across the bay at an eye-watering 57.5 MPH with a single Yamaha F350 on the transom. 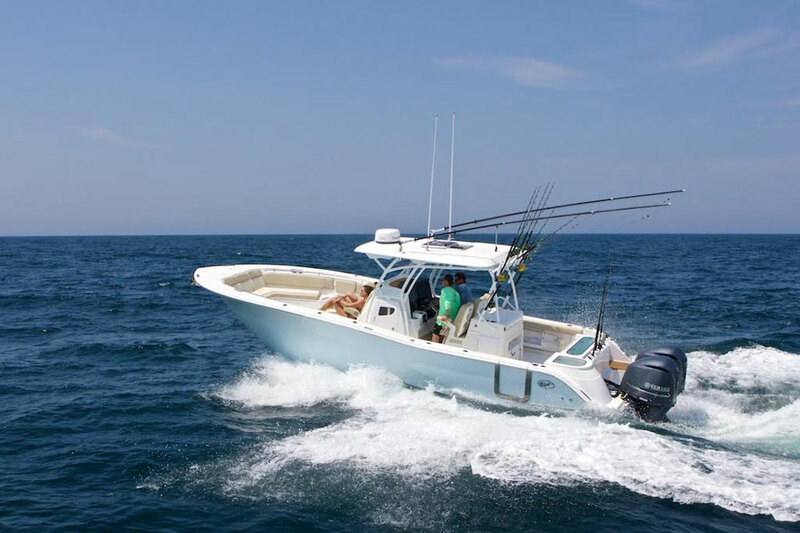 Once you get to the fishing grounds you’ll enjoy perks like triple livewells (42 gallons aft, 21 gallons amidships, and 13 gallons forward), raised casting decks, a 35-quart Yeti cooler, and a leaning post with Llebroc seats. 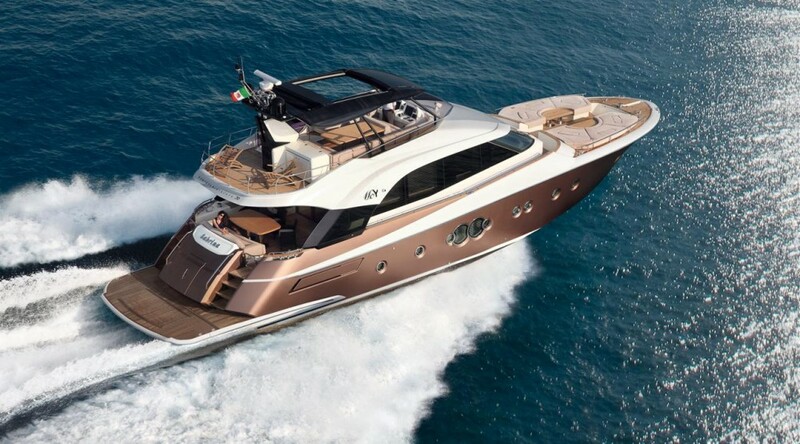 See Nautic Star 26 XTS listings. The 328 Commander is the biggest Sea Fox yet, so when they designed and prototyped this model, no holds were barred. Big-boat touches like a side dive door, an Olympic-sized 50-gallon livewell, a console cabin berth, and a forward console lounge, are all included. But Sea Fox does it at a price-point (about a quarter-mil, base) that many smaller boats can’t touch. 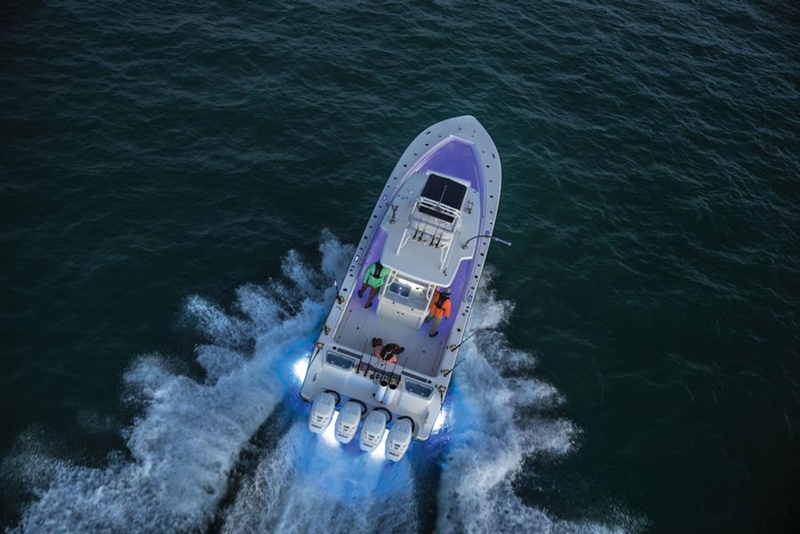 Get the boat rigged with max power (a pair of Yamaha F350 outboards) and you’ll discover a 57.3 MPH top-end, a 32-MPH cruise, and according to reviewer Gary Reich, the boat “behaved very well, feeling solid and providing a smooth ride” in a chop. 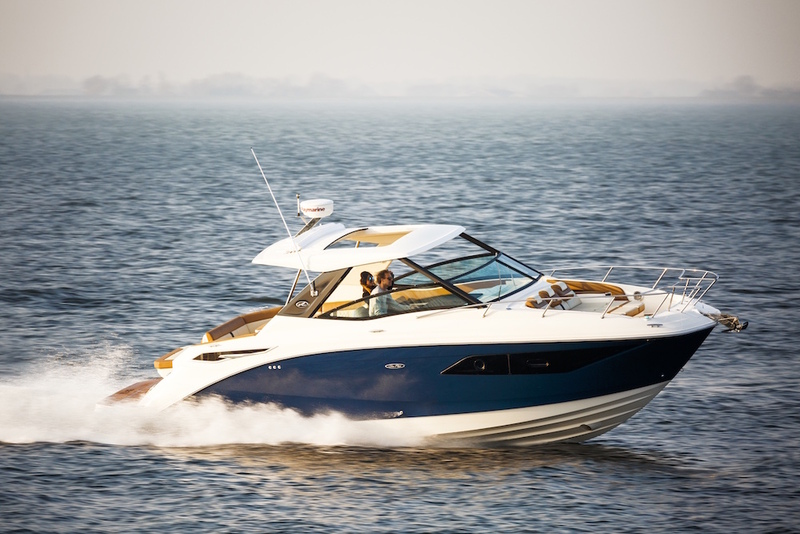 For more information see our Sea Fox 328 Commander Review. 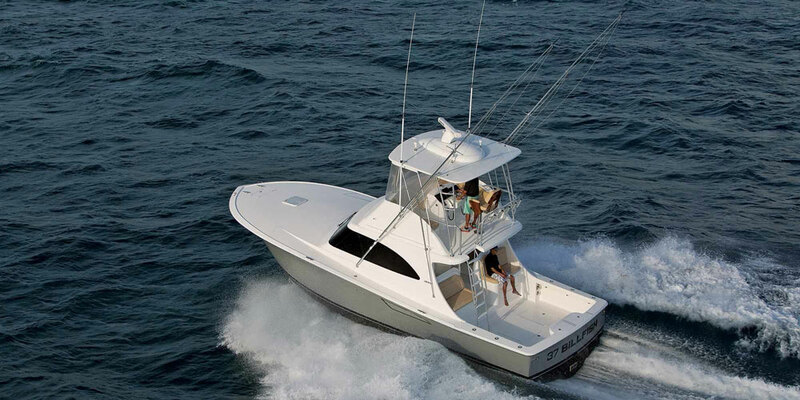 See Sea Fox 328 Commander listings. Reviewer Gary Reich rode this boat through Biscayne Bay on a day that would have most folks sitting at the dock, with a 20-knot breeze and frothy whitecaps roiling the water. 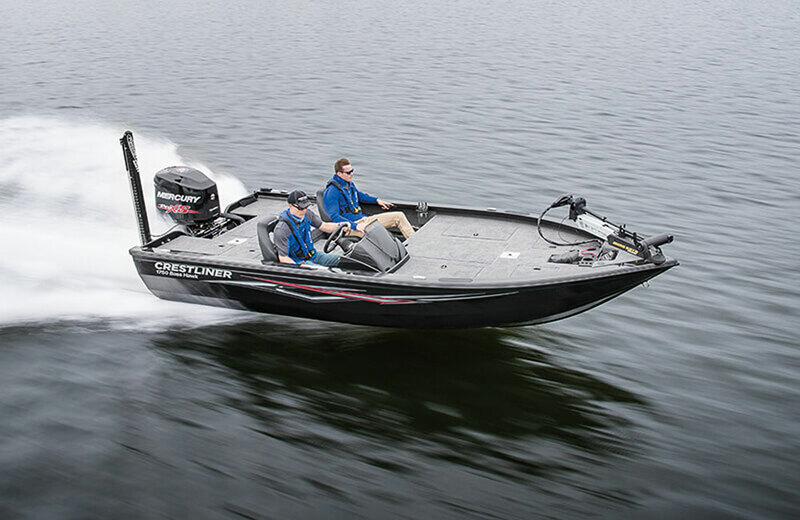 Yet his comment was “The persistent, steep, three-foot chop provided the perfect conditions for testing the boat and we were quite impressed with the Open 282 TE’s rough-water performance. It felt very solid underfoot, and the 282 TE’s bottom sliced through the snotty conditions authoritatively, with very little banging.” We don’t just like that kind of ride in snotty seas—we love it. You’ll get the complete scoop by reading our full review of the Sportsman Open 282 Tournament Edition. 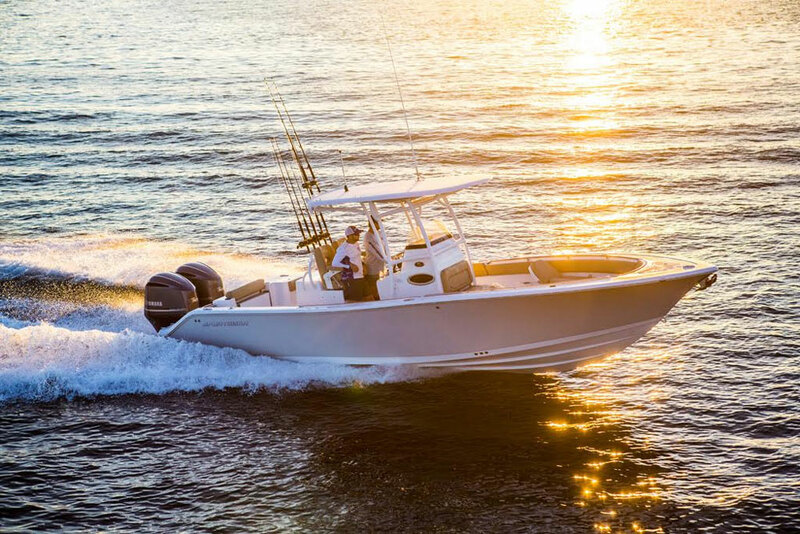 We love the Viking 37 Billfish because it solves a big down-side to fishing from a convertible: thanks to a lower helm station and the elimination of the bridge-deck’s aft bulkhead, the captain doesn’t have to be trapped atop the flybridge where he or she can’t join in the action. The boat also sports a mini-mezzanine in the cockpit, a bait freezer, insulated fishboxes, and a transom livewell. Check out our Viking 37 Billfish: First Look Video to get an up-close look at this bluewater fishing machine. To see last year's models, read the Top 10 Fishing Boats of 2016, and don't forget to check out the most recent list of the Best Fishing Boats on the market today.